The point of fuzzy logic is to map an input space to an output space, and the primary mechanism for doing this is a list of if-then statements called rules. All rules are evaluated in parallel, and the order of the rules is unimportant. The rules themselves are useful because they refer to variables and the adjectives that describe those variables. Before you can build a system that interprets rules, you must define all the terms you plan on using and the adjectives that describe them. To say that the water is hot, you need to define the range that the water's temperature can be expected to vary as well as what we mean by the word hot. The following diagram provides a roadmap for the fuzzy inference process. It shows the general description of a fuzzy system on the left and a specific fuzzy system on the right. To summarize the concept of fuzzy inference depicted in this figure, fuzzy inference is a method that interprets the values in the input vector and, based on some set of rules, assigns values to the output vector. This topic guides you through the fuzzy logic process step by step by providing an introduction to the theory and practice of fuzzy logic. Fuzzy logic starts with the concept of a fuzzy set. A fuzzy set is a set without a crisp, clearly defined boundary. It can contain elements with only a partial degree of membership. To understand what a fuzzy set is, first consider the definition of a classical set. A classical set is a container that wholly includes or wholly excludes any given element. For example, the set of days of the week unquestionably includes Monday, Thursday, and Saturday. It just as unquestionably excludes butter, liberty, and dorsal fins, and so on. Of any subject, one thing must be either asserted or denied. To restate this law with annotations: "Of any subject (say Monday), one thing (a day of the week) must be either asserted or denied (I assert that Monday is a day of the week)." This law demands that opposites, the two categories A and not-A, should between them contain the entire universe. Everything falls into either one group or the other. There is no thing that is both a day of the week and not a day of the week. Now, consider the set of days comprising a weekend. The following diagram attempts to classify the weekend days. Most would agree that Saturday and Sunday belong, but what about Friday? It feels like a part of the weekend, but somehow it seems like it should be technically excluded. Thus, in the preceding diagram, Friday tries its best to "straddle on the fence." Classical or normal sets would not tolerate this kind of classification. Either something is in or it is out. Human experience suggests something different, however, straddling the fence is part of life. Of course individual perceptions and cultural background must be taken into account when you define what constitutes the weekend. Even the dictionary is imprecise, defining the weekend as the period from Friday night or Saturday to Monday morning. You are entering the realm where sharp-edged, yes-no logic stops being helpful. Fuzzy reasoning becomes valuable exactly when you work with how people really perceive the concept weekend as opposed to a simple-minded classification useful for accounting purposes only. More than anything else, the following statement lays the foundations for fuzzy logic. In fuzzy logic, the truth of any statement becomes a matter of degree. Any statement can be fuzzy. The major advantage that fuzzy reasoning offers is the ability to reply to a yes-no question with a not-quite-yes-or-no answer. Humans do this kind of thing all the time (think how rarely you get a straight answer to a seemingly simple question), but it is a rather new trick for computers. Q: Is Saturday a weekend day? Q: Is Tuesday a weekend day? Q: Is Friday a weekend day? Q: Is Sunday a weekend day? A: 0.95 (yes, but not quite as much as Saturday). The following plot on the left shows the truth values for weekend-ness if you are forced to respond with an absolute yes or no response. On the right, is a plot that shows the truth value for weekend-ness if you are allowed to respond with fuzzy in-between values. Technically, the representation on the right is from the domain of multivalued logic (or multivalent logic). If you ask the question "Is X a member of set A?" the answer might be yes, no, or any one of a thousand intermediate values in between. Thus, X might have partial membership in A. Multivalued logic stands in direct contrast to the more familiar concept of two-valued (or bivalent yes-no) logic. To return to the example, now consider a continuous scale time plot of weekend-ness shown in the following plots. By making the plot continuous, you are defining the degree to which any given instant belongs in the weekend rather than an entire day. In the plot on the left, notice that at midnight on Friday, just as the second hand sweeps past 12, the weekend-ness truth value jumps discontinuously from 0 to 1. This is one way to define the weekend, and while it may be useful to an accountant, it may not really connect with your own real-world experience of weekend-ness. The plot on the right shows a smoothly varying curve that accounts for the fact that all of Friday, and, to a small degree, parts of Thursday, partake of the quality of weekend-ness and thus deserve partial membership in the fuzzy set of weekend moments. The curve that defines the weekend-ness of any instant in time is a function that maps the input space (time of the week) to the output space (weekend-ness). Specifically it is known as a membership function. See Membership Functions for a more detailed discussion. As another example of fuzzy sets, consider the question of seasons. What season is it right now? In the northern hemisphere, summer officially begins at the exact moment in the earth's orbit when the North Pole is pointed most directly toward the sun. It occurs exactly once a year, in late June. Using the astronomical definitions for the season, you get sharp boundaries as shown on the left in the figure that follows. But what you experience as the seasons vary more or less continuously as shown on the right in the following figure (in temperate northern hemisphere climates). A membership function (MF) is a curve that defines how each point in the input space is mapped to a membership value (or degree of membership) between 0 and 1. The input space is sometimes referred to as the universe of discourse, a fancy name for a simple concept. One of the most commonly used examples of a fuzzy set is the set of tall people. In this case, the universe of discourse is all potential heights, say from three feet to nine feet, and the word tall would correspond to a curve that defines the degree to which any person is tall. If the set of tall people is given the well-defined (crisp) boundary of a classical set, you might say all people taller than six feet are officially considered tall. However, such a distinction is clearly absurd. It may make sense to consider the set of all real numbers greater than six because numbers belong on an abstract plane, but when we want to talk about real people, it is unreasonable to call one person short and another one tall when they differ in height by the width of a hair. If the kind of distinction shown previously is unworkable, then what is the right way to define the set of tall people? Much as with the plot of weekend days, the figure following shows a smoothly varying curve that passes from not-tall to tall. The output-axis is a number known as the membership value between 0 and 1. The curve is known as a membership function and is often given the designation of µ. This curve defines the transition from not tall to tall. Both people are tall to some degree, but one is significantly less tall than the other. 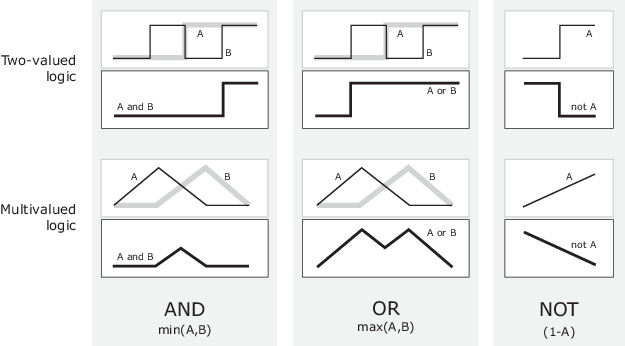 Subjective interpretations and appropriate units are built right into fuzzy sets. 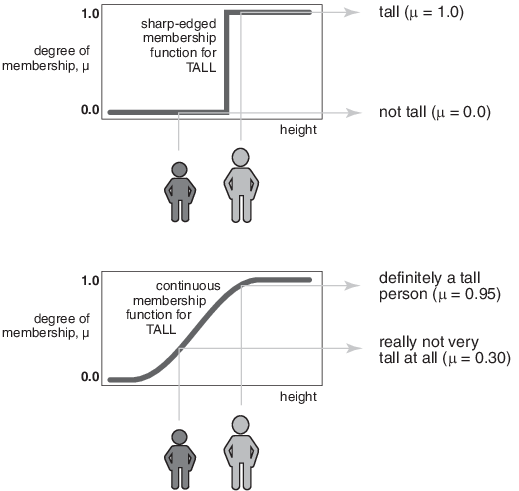 If you say "She's tall," the membership function tall should already take into account whether you are referring to a six-year-old or a grown woman. Similarly, the units are included in the curve. Certainly it makes no sense to say "Is she tall in inches or in meters?" The only condition a membership function must really satisfy is that it must vary between 0 and 1. The function itself can be an arbitrary curve whose shape we can define as a function that suits us from the point of view of simplicity, convenience, speed, and efficiency. A fuzzy set is an extension of a classical set. If X is the universe of discourse and its elements are denoted by x, then a fuzzy set A in X is defined as a set of ordered pairs. µA(x) is called the membership function (or MF) of x in A. The membership function maps each element of X to a membership value between 0 and 1. For detailed information on any of the membership functions mentioned next, see the corresponding reference page. The simplest membership functions are formed using straight lines. Of these, the simplest is the triangular membership function, and it has the function name trimf. This function is nothing more than a collection of three points forming a triangle. The trapezoidal membership function, trapmf, has a flat top and really is just a truncated triangle curve. These straight line membership functions have the advantage of simplicity. Two membership functions are built on the Gaussian distribution curve: a simple Gaussian curve and a two-sided composite of two different Gaussian curves. The two functions are gaussmf and gauss2mf. The generalized bell membership function is specified by three parameters and has the function name gbellmf. The bell membership function has one more parameter than the Gaussian membership function, so it can approach a non-fuzzy set if the free parameter is tuned. Because of their smoothness and concise notation, Gaussian and bell membership functions are popular methods for specifying fuzzy sets. Both of these curves have the advantage of being smooth and nonzero at all points. Although the Gaussian membership functions and bell membership functions achieve smoothness, they are unable to specify asymmetric membership functions, which are important in certain applications. Next, you define the sigmoidal membership function, which is either open left or right. Asymmetric and closed (i.e. not open to the left or right) membership functions can be synthesized using two sigmoidal functions, so in addition to the basic sigmf, you also have the difference between two sigmoidal functions, dsigmf, and the product of two sigmoidal functions psigmf. Polynomial based curves account for several of the membership functions in the toolbox. Three related membership functions are the Z, S, andPi curves, all named because of their shape. The function zmf is the asymmetrical polynomial curve open to the left, smf is the mirror-image function that opens to the right, and pimf is zero on both extremes with a rise in the middle. There is a very wide selection to choose from when you're selecting a membership function. You can also create your own membership functions with the toolbox. However, if a list based on expanded membership functions seems too complicated, just remember that you could probably get along very well with just one or two types of membership functions, for example the triangle and trapezoid functions. The selection is wide for those who want to explore the possibilities, but expansive membership functions are not necessary for good fuzzy inference systems. Finally, remember that more details are available on all these functions in the reference section. Fuzzy sets describe vague concepts (e.g., fast runner, hot weather, weekend days). A fuzzy set admits the possibility of partial membership in it. (e.g., Friday is sort of a weekend day, the weather is rather hot). The degree an object belongs to a fuzzy set is denoted by a membership value between 0 and 1. (e.g., Friday is a weekend day to the degree 0.8). A membership function associated with a given fuzzy set maps an input value to its appropriate membership value. Now that you understand the fuzzy inference, you need to see how fuzzy inference connects with logical operations. The most important thing to realize about fuzzy logical reasoning is the fact that it is a superset of standard Boolean logic. In other words, if you keep the fuzzy values at their extremes of 1 (completely true), and 0 (completely false), standard logical operations will hold. As an example, consider the following standard truth tables. Now, because in fuzzy logic the truth of any statement is a matter of degree, can these truth tables be altered? The input values can be real numbers between 0 and 1. What function preserves the results of the AND truth table (for example) and also extend to all real numbers between 0 and 1? One answer is the min operation. That is, resolve the statement A AND B, where A and B are limited to the range (0,1), by using the function min(A,B). Using the same reasoning, you can replace the OR operation with the max function, so that A OR B becomes equivalent to max(A,B). Finally, the operation NOT A becomes equivalent to the operation 1−A. Notice how the previous truth table is completely unchanged by this substitution. Moreover, because there is a function behind the truth table rather than just the truth table itself, you can now consider values other than 1 and 0. The next figure uses a graph to show the same information. In this figure, the truth table is converted to a plot of two fuzzy sets applied together to create one fuzzy set. The upper part of the figure displays plots corresponding to the preceding two-valued truth tables, while the lower part of the figure displays how the operations work over a continuously varying range of truth values A and B according to the fuzzy operations you have defined. Given these three functions, you can resolve any construction using fuzzy sets and the fuzzy logical operation AND, OR, and NOT. In this case, you defined only one particular correspondence between two-valued and multivalued logical operations for AND, OR, and NOT. This correspondence is by no means unique. In more general terms, you are defining what are known as the fuzzy intersection or conjunction (AND), fuzzy union or disjunction (OR), and fuzzy complement (NOT). The classical operators for these functions are: AND = min, OR = max, and NOT = additive complement. Typically, most fuzzy logic applications make use of these operations and leave it at that. In general, however, these functions are arbitrary to a surprising degree. Fuzzy Logic Toolbox™ software uses the classical operator for the fuzzy complement as shown in the previous figure, but also enables you to customize the AND and OR operators. The first requirement imposes the correct generalization to crisp sets. The second requirement implies that a decrease in the membership values in A or B cannot produce an increase in the membership value in A intersection B. The third requirement indicates that the operator is indifferent to the order of the fuzzy sets to be combined. Finally, the fourth requirement allows us to take the intersection of any number of sets in any order of pair-wise groupings. Several parameterized T-norms and dual T-conorms have been proposed in the past, such as those of Yager , Dubois and Prade , Schweizer and Sklar , and Sugeno . Each of these provides a way to vary the gain on the function so that it can be very restrictive or very permissive. Fuzzy sets and fuzzy operators are the subjects and verbs of fuzzy logic. These if-then rule statements are used to formulate the conditional statements that comprise fuzzy logic. In general, the input to an if-then rule is the current value for the input variable (in this case, service) and the output is an entire fuzzy set (in this case, average). This set will later be defuzzified, assigning one value to the output. The concept of defuzzification is described in the next section. Evaluation of the antecedent — Fuzzifying the inputs and applying any necessary fuzzy operators. Application of the result to the consequent. The second step is known as implication. For an if-then rule, the antecedent, p, implies the consequent, q. In binary logic, if p is true, then q is also true (p → q). In fuzzy logic, if p is true to some degree of membership, then q is also true to the same degree (0.5p → 0.5q). In both cases, if p is false, then the value of q is undetermined. The antecedent of a rule can have multiple parts. In this case all parts of the antecedent are calculated simultaneously and resolved to a single number using the logical operators described in the preceding section. The consequent of a rule can also have multiple parts. In this case, all consequents are affected equally by the result of the antecedent. How is the consequent affected by the antecedent? The consequent specifies a fuzzy set be assigned to the output. The implication function then modifies that fuzzy set to the degree specified by the antecedent. The most common ways to modify the output fuzzy set are truncation using the min function (where the fuzzy set is truncated as shown in the following figure) or scaling using the prod function (where the output fuzzy set is squashed). Both are supported by the toolbox, but you use truncation for the examples in this section. Fuzzify inputs: Resolve all fuzzy statements in the antecedent to a degree of membership between 0 and 1. If there is only one part to the antecedent, then this is the degree of support for the rule. Apply fuzzy operator to multiple part antecedents: If there are multiple parts to the antecedent, apply fuzzy logic operators and resolve the antecedent to a single number between 0 and 1. This is the degree of support for the rule. Apply implication method: Use the degree of support for the entire rule to shape the output fuzzy set. The consequent of a fuzzy rule assigns an entire fuzzy set to the output. This fuzzy set is represented by a membership function that is chosen to indicate the qualities of the consequent. If the antecedent is only partially true, (i.e., is assigned a value less than 1), then the output fuzzy set is truncated according to the implication method. In general, one rule alone is not effective. Two or more rules that can play off one another are needed. The output of each rule is a fuzzy set. The output fuzzy sets for each rule are then aggregated into a single output fuzzy set. Finally the resulting set is defuzzified, or resolved to a single number. Build Fuzzy Systems Using Fuzzy Logic Designer shows how the whole process works from beginning to end for a particular type of fuzzy inference system called a Mamdani type. Dubois, D. and H. Prade, Fuzzy Sets and Systems: Theory and Applications, Academic Press, New York, 1980. Kaufmann, A. and M.M. Gupta, Introduction to Fuzzy Arithmetic, V.N. Reinhold, 1985. Lee, C.-C., "Fuzzy logic in control systems: fuzzy logic controller-parts 1 and 2," IEEE Transactions on Systems, Man, and Cybernetics, Vol. 20, No. 2, pp 404-435, 1990. Mamdani, E.H. and S. Assilian, "An experiment in linguistic synthesis with a fuzzy logic controller," International Journal of Man-Machine Studies, Vol. 7, No. 1, pp. 1-13, 1975. Mamdani, E.H., "Advances in the linguistic synthesis of fuzzy controllers," International Journal of Man-Machine Studies, Vol. 8, pp. 669-678, 1976. Mamdani, E.H., "Applications of fuzzy logic to approximate reasoning using linguistic synthesis," IEEE Transactions on Computers, Vol. 26, No. 12, pp. 1182-1191, 1977. Schweizer, B. and A. Sklar, "Associative functions and abstract semi-groups," Publ. Math Debrecen, 10:69-81, 1963. Sugeno, M., "Fuzzy measures and fuzzy integrals: a survey," (M.M. Gupta, G. N. Saridis, and B.R. Gaines, editors) Fuzzy Automata and Decision Processes, pp. 89-102, North-Holland, NY, 1977. Sugeno, M., Industrial applications of fuzzy control, Elsevier Science Pub. Co., 1985. Yager, R., "On a general class of fuzzy connectives," Fuzzy Sets and Systems, 4:235-242, 1980. Zadeh, L.A., "Fuzzy sets," Information and Control, Vol. 8, pp. 338-353, 1965. 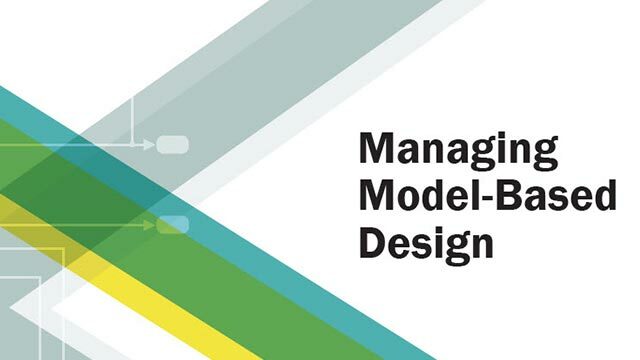 Zadeh, L.A., "Outline of a new approach to the analysis of complex systems and decision processes," IEEE Transactions on Systems, Man, and Cybernetics, Vol. 3, No. 1, pp. 28-44, Jan. 1973. Zadeh, L.A., "The concept of a linguistic variable and its application to approximate reasoning, Parts 1, 2, and 3," Information Sciences, 1975, 8:199-249, 8:301-357, 9:43-80. Zadeh, L.A., "Fuzzy Logic," Computer, Vol. 1, No. 4, pp. 83-93, 1988. Zadeh, L.A., "Knowledge representation in fuzzy logic," IEEE Transactions on Knowledge and Data Engineering, Vol. 1, pp. 89-100, 1989.